When Benito Mussolini ordered the construction of Rome’s EUR district in the 1930’s to host a World Fair to celebrate his 20 years in power, little did he know that the Second World War would prevent him from materialising his ambitious plan. Meant to become Rome’s new city centre, the EUR is populated by monumental pavilions, each an imposing example of Fascist architecture and what Italian cities may very well have looked like had Mussolini remained in power longer. One of the quarter’s most iconic buildings is the Palazzo della Civiltà Italiana, also known as the Square Colisseum: conceived as a reinterpretation of the Roman landmark, the Palazzo is lined with six rows of loggias on each side, and its façades are made of travertine marble just as the rest of the buildings around it. 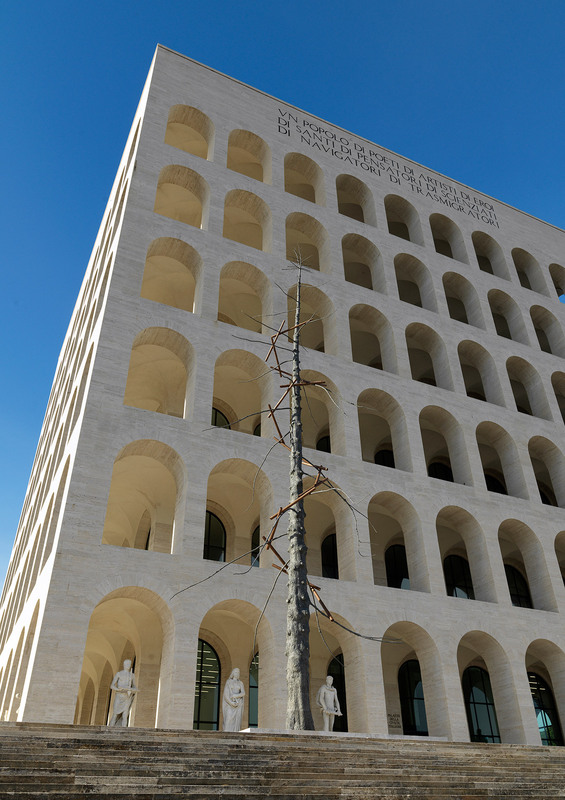 Since 2015, the monument has been used as the headquarters of Maison Fendi, with the building’s first floor reserved especially for public exhibitions that showcase craftsmanship and creativity. For its first exhibition of contemporary art at the Palazzo, Fendi is hosting a show by Italian sculptor Giuseppe Penone titled ‘Matrice’. 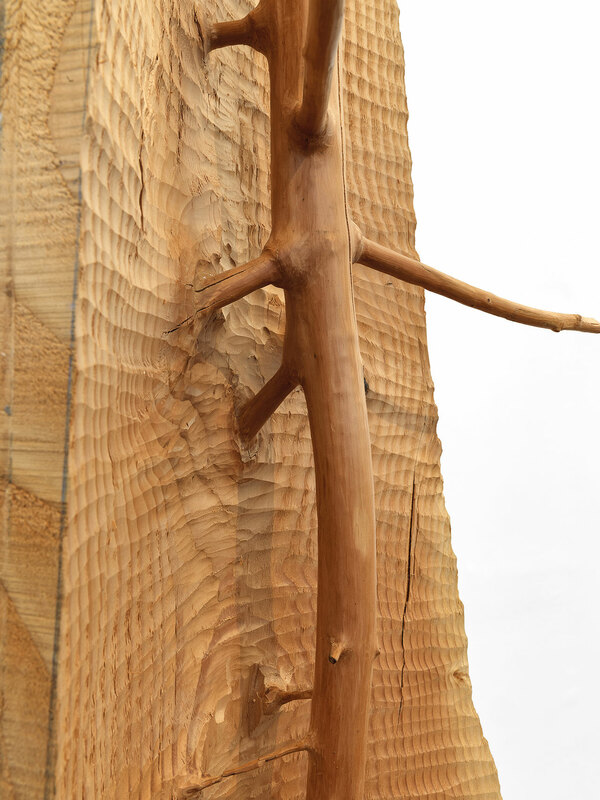 One of the most acclaimed artists of his generation, 70-year-old Penone is famous for his use of precious materials such as marble and bronze, which he moulds and carves into natural, evocative forms. Emptied-out tree trunks lined with gold, and river pebbles made of hand-carved marble are examples of his sculptures, as well as more poetic works that defy the laws of nature and play with our perception. 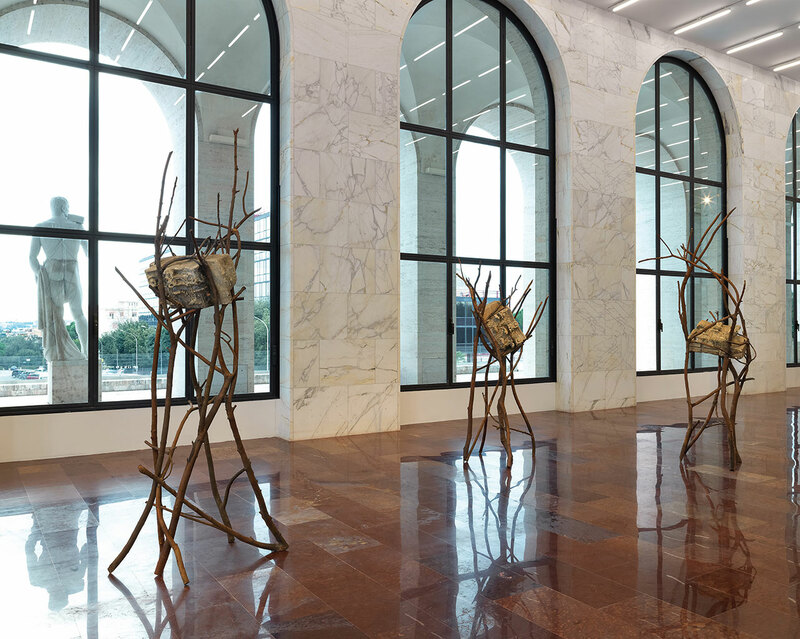 The Foglie di Pietra series of sculptures for example involves large rocks balanced atop seemingly fragile bouquets of bronze branches, with the largest of these works to date (Foglie di Pietra, 2016) featuring two bronze trees carrying on their interwoven branches a marble boulder weighing 11 tonnes. 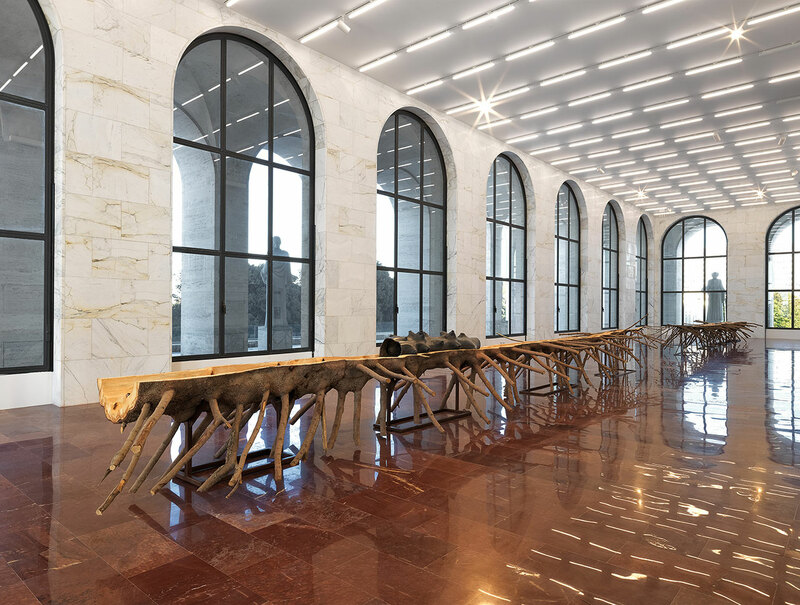 The 18-meter-tall work has been commissioned by Fendi as a public sculpture to be installed permanently outside the Fendi flagship on Rome’s Largo Carlo Goldoni, and will be unveiled in spring 2017. 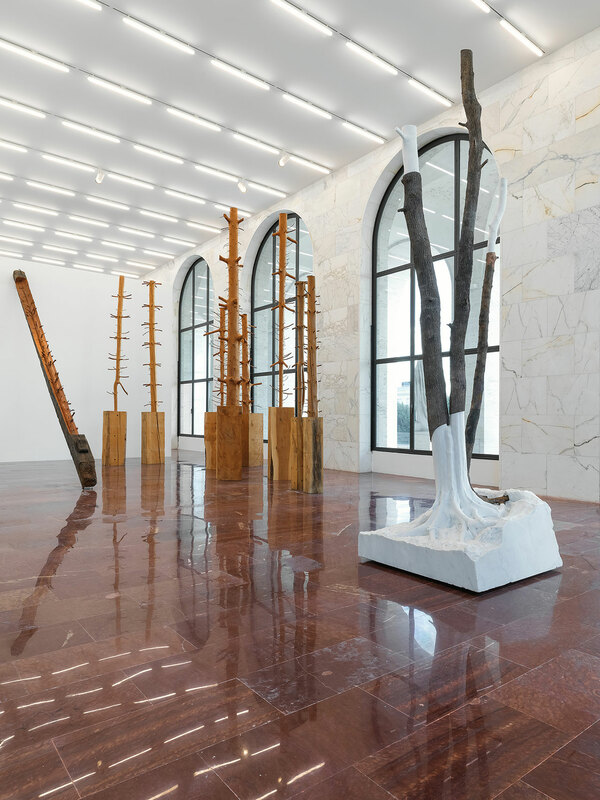 For the Palazzo della Civiltà Italiana exhibition, New Museum’s artistic director Massimiliano Gioni has been recruited to curate a selection of both new and older works by Penone that highlight the artist’s fascination with natural forms as well as his sculptural sensibility. 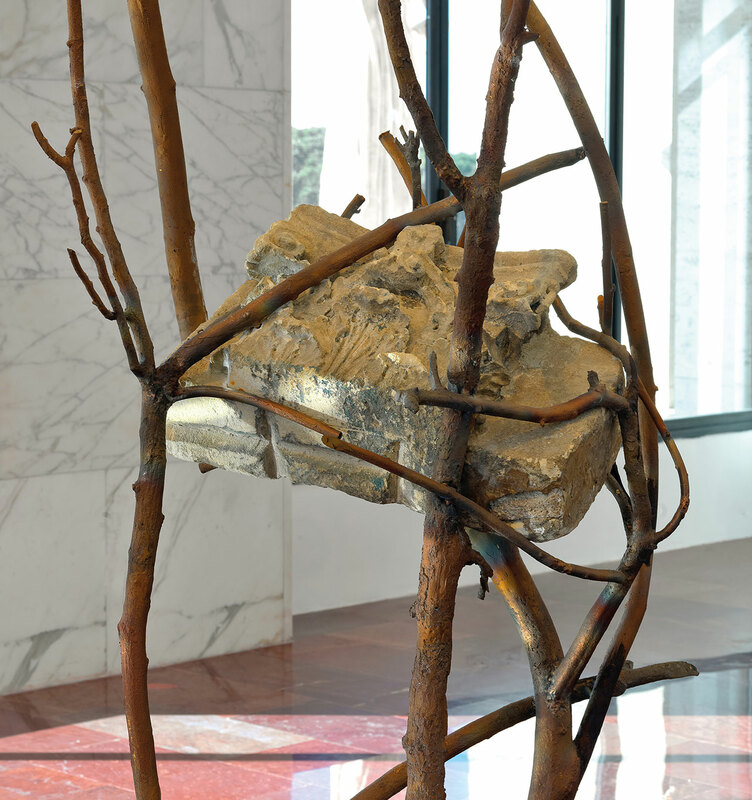 Apart from the Foglie di Petra series, which is being shown in Italy for the first time, ‘Matrice’ features other notable works from the sculptor, such as the homonymous 30-meter-long sculpture Matrice (2015); an example from a series of images made of acacia thorns on canvas (Spine d’acacia - Contatto, 2006); and the ongoing series of carved tree trunks Ripetere il bosco (1969-2016), the latter being one of the artist’s most renowned works. 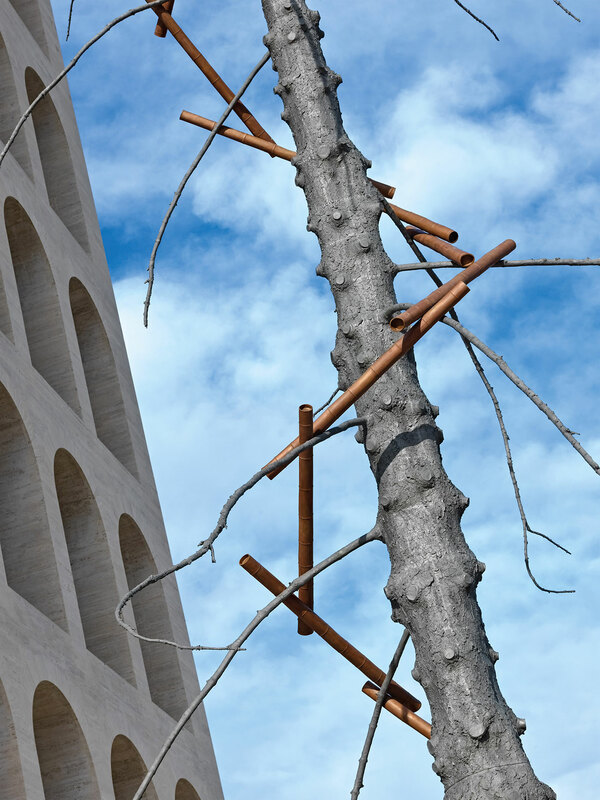 A 20-meter-high bronze fir tree (Abete, 2013) is also being presented for the first time, and has been installed outside the Palazzo, marking a contrast between the natural world evoked through Penone’s works and the neat, rationalised neoclassicism of the building hosting them.